Please note we will be closed from Friday 22nd at 1pm and will reopen on January 2nd. We hope everyone has a great Christmas and new year! See you at Autosport in the new year! 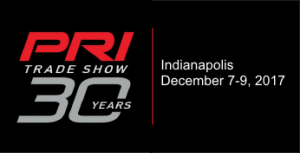 We’re exhibiting at PRI this week on Booth 4448. We are sharing the booth with St Cross Electronics and will be displaying our new Power Distribution Panel, as well as our full range of motorsport products. We’re exhibiting at PMW EXPO in Cologne for 2015. We will be there from the 11th-13th November on Stand 4016, so come say hello and have a look at our range of Motorsport products! Cartek Motorsport Electronics are pleased to announce the new Power Distribution Panel to be released Spring 2017. This product is a full redesign of their successful but bespoke, Power Control Panels, with the main aim of allowing the user to customise and configure it themselves. The Cartek Power Distribution Panel has 16 Channels with selectable current ratings of 8 Amps or 16 Amps, while combining 2 channels will allow outputs to increase to 24 Amp or 32 Amp. Each channel features full over-current and short circuit protection, and a status LED which will flash if an error has been detected. panel, meaning no Laptop is needed. 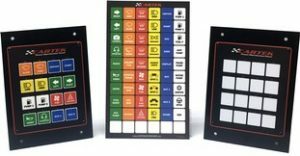 The Power Distribution Panel also comes with 16 external inputs, allowing all channels to be activated by steering wheel mounted switches, or Cartek’s Wireless Control System. ECU Inputs can also be accepted to take control of any of the 16 channels. This new Power Distribution Panel is also compatible with Cartek’s new XR Battery Isolator. Each Power Distribution Panel can be backlit and comes with a Label Pack to allow the user to fully customise the front panel layout. Cartek is please to announce Murray Motosport and EARS Motorsport as dealers in Ireland.